How is it that three women die under very similar circumstances? All were apparently very happy when they died, but all three deaths were ruled suicides. Why the conflict? Also, the three women were all professional, one a brilliant engineer, then a successful lawyer and a controversial politician. They had nothing in common but the cause of their deaths. Seemingly, only lieutenant Eve Dallas finds these deaths suspicious. She further investigates and she finds a common denominator. As always the danger is in this story is in stiff competition to the sizzling connection between Eve and Roarke. 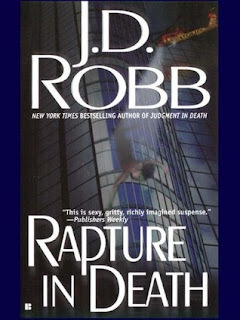 This futuristic story, Rapture in Death, is a bit more advanced in that regard than the prior three books in this series. This is especially so because Eve and Roarke happen upon a deadly virtual reality game. They could lose everything. Will Eve be able to get to the bottom of things before that very game becomes deadly to her? The In Death series is a long-running one, with 49 books offered thus far. As each title gives a brief history of the pasts of Eve and Roarke, and how they found one another. However, it is a very exciting series and might just definitely be enjoyed more by reading in succession. 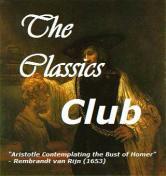 I plan on reading and reviewing each title on this blog. Feel free to search any of my previous reviews. Nice review. Not sure this one is for me though. Another author I need to give a try. Thanks for the review. 49 book series - jaw-dropping! I’ve seen this series around. 49 books?! Wow!! I didn't realize this series was like long. Wow! Excellent post. Great review Robin, this book series looks and sounds absolutely amazing and right up my alley but wow it is a long series 49 books whoa! Thank you so much for sharing your awesome post.